Two centuries ago, taverns were considered central meeting areas. In the 19th century, saloons became hubs for the working class. Today, while so many other social norms evolve from decade to decade, saloons, taverns, pubs and plain old bars remain nuclei of community interaction. The challenge is distinguishing one boozy venue from the next. With some creativity and business savvy, establishments for imbibing have gotten clever, adding ancillary activities to draw drinkers and doers alike. "In Denver, there are so many options when going out for the evening, so patrons have come to expect just a bit more value from the venues they choose," says Keith Meyers, co-owner and president of Board Game Republic, an old-fashioned gaming café-pub set to open in early November. More than three years ago, Meyers had the opportunity to visit Snakes & Lattes, the original board game café, to his knowledge, in Toronto, Canada. "Their concept of a community gaming space with food and drinks really struck a chord with me -- it was different than a game store and different than a restaurant or tavern that had a few games to play," Meyers says. "Games bring people together and open channels of communication through laughter and fun." He researched the community-building concept and, "About a year later, put together enough ideas for my own spin . . . and started exploring how to make this happen in the Denver area." The space will open with a starting game library of 600 titles and "Professors of Play" to help participating patrons handpick and learn the intricacies of the games. Board Game Republic will be located inside The Yard, a 2.5-acre former lumberyard that will also come online this year as a "craft-centered," mixed-use development at 924 W. First Ave. in the Art District on Santa Fe. "The site itself features buildings clustered around a central area with decent parking. It simply captures the social and communal spirit we were looking for," Meyers says. "We offer a wise alternative to the usual pub atmosphere." Imbibing, painting, crafting & browsing vinyl Perhaps in one of the earliest iterations of the multimodal hangout was the popular drinking and painting model, introduced to Coloradans several years ago. Perhaps in one of the earliest iterations of the multimodal hangout was the popular drinking and painting model, introduced to Coloradans several years ago. 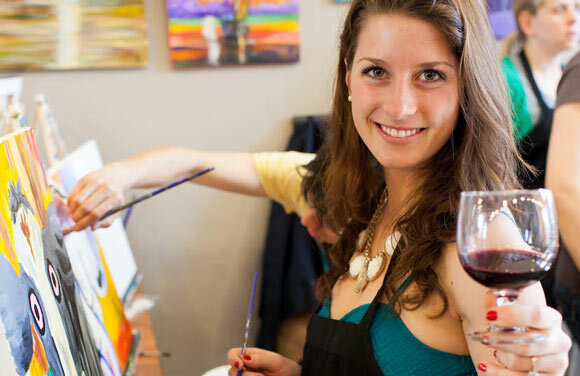 "Sipping and painting seemed like an amazing combination of two fun, social and experimental things people love to do," says Tim Grade, who co-owns Sipping 'n Painting Highland. "People can get a glass of wine anywhere, but the activity connected to the glass of wine opens up new topics of conversation and creates new memories." Also offering the drinking-and-crafting niche is Upstairs Circus in LoDo and Grandma's House Brewery, located on 1701 S. Broadway. At the latter, the concept is comfortable and nostalgic, geared largely toward local makers throughout Denver. "With as many breweries as Denver has (and is still adding), our events are just another element to set us apart in a crowded field," says Matthew Fuerst, owner of Grandma's House, explaining that Denver's brewery tally has just about doubled in the last two years. Just a few blocks north on Broadway, Darin Bowman is hard at work to open his new, self-titled record store meets music venue meets bar, by the end of August to attract a new crowd of genre-neutral music lovers and social butterflies out and about on Broadway. "I've worked in bars forever and never heard of a concept like this," Bowman says. "I'm going to sell new and used vinyl, feature live music and serve drinks." He calls the process of renovating the former Tavern 13 location at 1312 South Broadway "aggravated happiness;" and while he says "no one really understands the concept" yet, he is confident Bowman's Vinyl & Lounge will be "a great fit," for the neighborhood. He explains that the process to open the doors required him to apply for multiple licenses, including a cabaret license and renovation. "It's kind of been like starting two businesses at once." 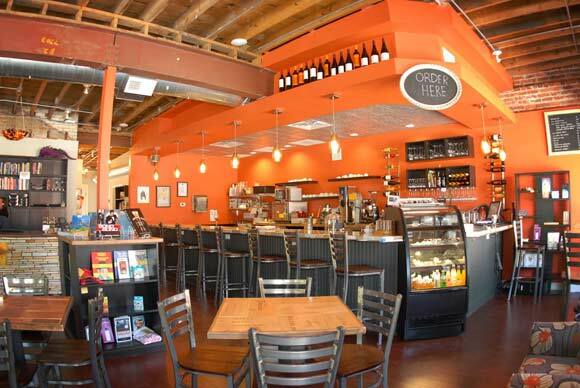 A literary locale BookBar opened when Nicole Sullivan set out to to save a bookshop. A model alternative to other typical taverns is found on Tennyson Street, in Denver's Berkeley neighborhood. BookBar opened when Nicole Sullivan set out to to save a struggling independent bookshop. "I remember thinking they should just add a wine bar to the store," Sullivan says, of the former bookstore that is now BookBar. " One of the big driving factors to a cultural district. I believe, is a good bookstore. The literary arts are just as important as galleries, and this was right around the time e-readers came onto the scene and indie bookstores have been closing left and right. So it really drove me to do something about it. I looked at the numbers and realized, if you add a wine bar to a bookstore, that might just be a way that booksellers can continue to draw in readers and sell books." Sullivan, who received a degree from culinary school, decided adding hors d'oeuvres could benefit the business. She calls the BookBar's wine offerings "eclectic, covering various regions and areas of the world," and says that one of her bar managers recently completed sommelier training. As for the company BookBar keeps, "When we opened, my husband said, 'It's going to be all women.' But it's super diverse," Sullivan says. "With great Wi-Fi and coffee, I look around and I see young professional men working, people who would otherwise be working from home, but need to get out of their houses; in the evenings, we get tons of book clubs, and those tend to be middle-aged or younger women. We see a lot of older people, children and families." Comparable to Bowman's chief concern, according to Sullivan, the biggest challenge she has experienced is melding the two businesses together in a seamless fashion. "What we're doing is combining a retail business with a food and beverage business, which has not been done a whole lot before. You have to have a point-of-sale system that can handle both, bridge the accounting and taxes, there can be staffing issues," she says. She explains that the wine bar sustains the bookstore side of her revenue model. All in all, the business seems to be booming, as Sullivan recently began working with national bookseller training programs, to help folks in her field better understand how to open a dual-purpose place. "I think people are moving toward this hybrid model," Sullivan says. "I think there are tons of people who would like to socialize with wine or beer, who aren't necessarily 'bar people,' but they're also not looking for full meal service." It's difficult to disagree, as BookBar is in the process of expanding, more than doubling in size and building out an author's bed and breakfast. As retail transitions to a digital-first format and consumer preference, Sullivan suggests what is lost is slowing down and exchanging ideas in community spaces. "I think as society goes more online, there's a backlash, where people are seeking to congregate," she says. "Our tag line is, 'Unplug. Sit down. Reconnect,'" echoes Meyers of Board Game Republic. "In today's digital world of snippets of conversations, we feel this is much needed. I personally would much rather see someone laugh out loud, than be texted LOL." At the convergence of diverse Denver communities on Santa Fe Drive - a location destined to be the local heart and regional gathering place.